Discussion in 'Operating Systems' started by Extraordinary, Jul 30, 2015. Just heads up for those @ Haswell and if you still use ITA 1.9, don't. I unistanlled it ~ RS3 and now when I tried again in RS4, my system ran slower by raw cpu throughout put..
2 cpu intense game benchmarks ran slower too, guess it was a thing in the past by Win7, 8.x and early win10 versions, pre RS1, RS2..
Have you tried Ryse recently btw? Does it still stutter without ITA driver? I think I figure the stuttering issue for everyone with Intel CPU. 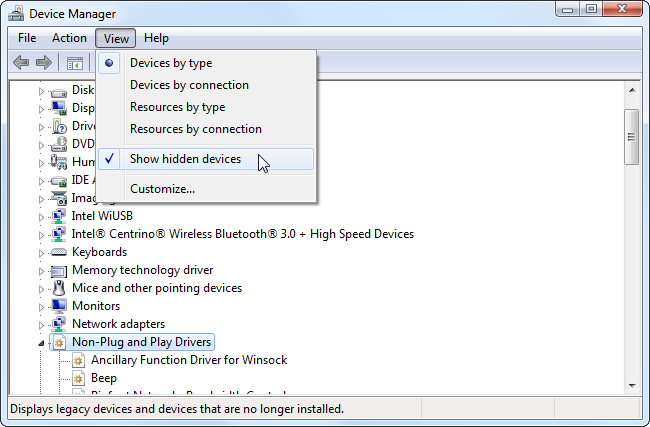 Programs you need to go to Device Manager and Show Hidden Devices go to SYSTEM DEVICES and Uninstall the WDT device including the Driver in the box selection. There are 3 conflicting drivers on the new intel motherboards and 2 on the old ones. !Now if you have the drivers installed properly and updated this shouldn't be on a section of it's own . Those Devices installed should be on System Devices in the Device Manager! This is a tricky one. for every motherboard there is specific firmware that installed, every motherboard will be different usually firmware update won't update this as you usually need to update it alone which is dangerous and hard. but we won't touch the firmware only the driver. here the newest is not the best but specific driver for the motherboard version is the best. not sure how you can check it , usually there is a software called Intel MEInfo Tools , but there are many version of this for specific firmware and chipset and I'm not sure which one will work. So try to get lower version from Windows Update Catalog and start from there , every time you update restart computer and check for stuttering or crashes. Other then that if there are still issues it could be other software or other driver conflict or not updated or wrong version which I cannot know if it specific to your computer. But it's guaranteed this devices are causing stuttering. Put that in a REG file and import it. If it cannot import it, these settings are blocked by some policy (GPO). EDIT: Tested on Win10 x64 Pro / Pro OEM / Enterprise / Pro Workstation, but should work with x86, too. here the newest is not the best but specific driver for the motherboard version is the best. not sure how you can check it , usually there is a software called Intel MEInfo Tools , but there are many version of this for specific firmware and chipset and I'm not sure which one will work. Intel ME is split to two basic versions, 1,5MB one and 5MB one. The 1,5 MB one is the "basic" version without any management features, the 5MB one is the one with those features (previously called "Intel AMT" = Intel Advanced Management Technology). 1,5MB ones are found in the Intel Z or X chipsets (like X79, X99 or Z97, Z170, Z270). 5MB ones are found in the H or Q chipsets liike H97, H170 or Q170 to name a few. General recommendation is to use the newest drivers available, because they offer security optimizations which are not found in older versions. You basically have to find out what version (1,5MB or 5MB) you have and install those driverrs in the newest version available. IMPORTANT: "Use newest version available" only applies to the driver! Do NOT (!!!) use the newest firmware available without checking first! If you force the install of say Intel ME 12 firmware on a chipset designed to use Intel ME 8 for example, your system will NOT boot afterwards or it will be VERY unstable. Only update firmware to the same major version (8 updates to 8, 9 to 9, 10 to 10, etc.). Check the support site of your mainboard to find out more. I'm doing a clean install tonight after troubleshooting an issue I've been having and ruling out hardware. This thread is a godsend, but holy crap did I forget how much garbage there is to disable/tweak in Win10. I do like that. Have you installed it? Any issues with the OS? yes im using it currently, the old control panel sidebar is still white , but i doubt that can be changed. ive tried many themes and all had this problem. for the rest , i have not had any problems. really liking it. 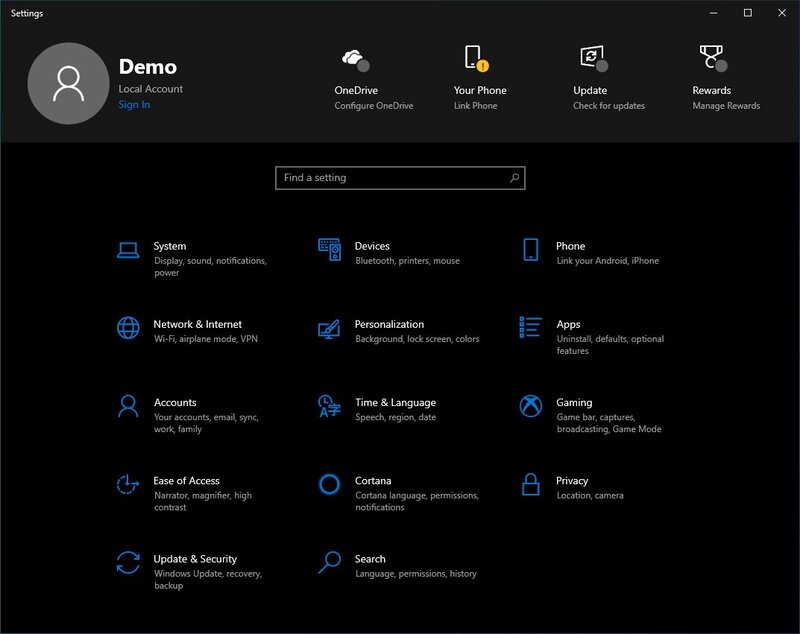 btw if you do not like it , you can just apply windows default theme to revert to the regular one. It works fine! I wouldn't have posted it otherwise. ugh what is that ? more giant buttons I dont want, only thing i might care for is windows update and that is already listed in the giant buttons bellow, they really need to stop trying to make GUI that is for both Mouse/KB and Touch at the same time it dont work, as such i still despite this GUI, I like the Startmenu though, the whole "setting" i do not. IF it anit broke dont mess with it, then again its MS so they gona tell use what we want, and we gona like it, cause they own the PC OS sector with there monopoly, so whether we like it or not they dont care. I wish the backlash they got for original annoucements of there xbox one, where they were gona lock all goes to the system and account, there by kill used game sells, cause the do 180 in less then 24hours was something that would work on there PC OS too. The1 and RzrTrek like this. Just in case, what app do you use to measure latencies? DPC latency checker 1.4. Like now latency varies 53-120 usec, max I see 494 was. Min like 17. Developer of DPC latency checker stated that the program is not compatible with Win8 and Win10. I used all versions of Windows and I have never experienced troubles because of latencies.